The US dollar index is up to 92.25 — it's best level since Jan. 11. Rising US government bond yields are providing support. The rand slumped to R12.57 on Tuesday. The US dollar hit its best level in nearly four months on Tuesday as traders ready for Wednesday's Fed meeting and a flurry of economic data. The US dollar index, which measures the greenback versus a basket of its major peers, was up 0.47% to 92.25 early Tuesday — a level not seen since January 11. The rand weakened a percent to R12.57 for a dollar. The uptick comes amid a months-long rally for the US currency, culminating in a 2.5% rise over the past two weeks. Analysts at JP Morgan said part of the reason the dollar seems to be surging appears to be rising US government bond yields. The 10-year Treasury yield hitting the key 3% level for the first time since 2014 last month. Meanwhile, the Federal Reserve is on track to raise rates two or three times more this year, which is relatively faster than the other major central banks. 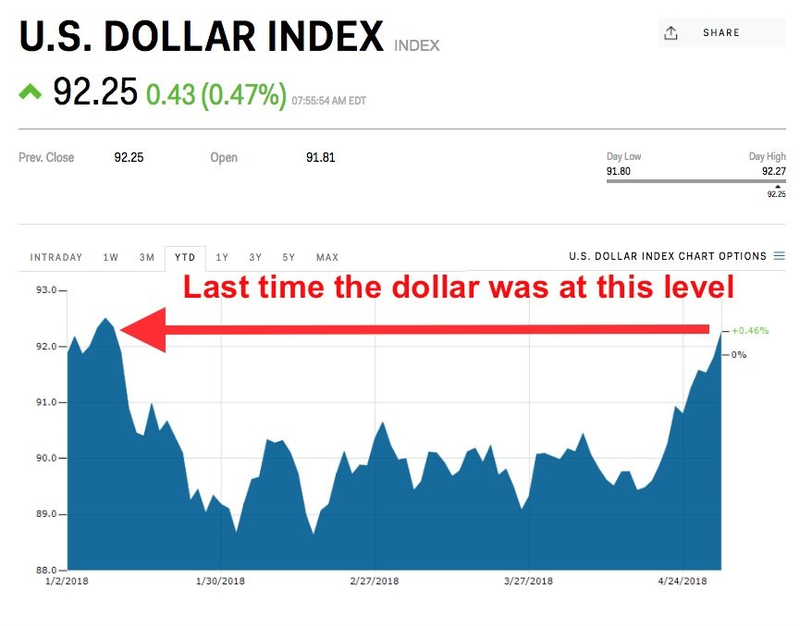 But the analysts called that reasoning "unsatisfactory," adding that there is still uncertainty as to why the dollar is climbing. "While there are various hypotheses, none are entirely satisfactory to explain the outbreak of dollar strength, at least not in terms of the timing of the move," the analysts said. The greenback is up 0.44% this year.